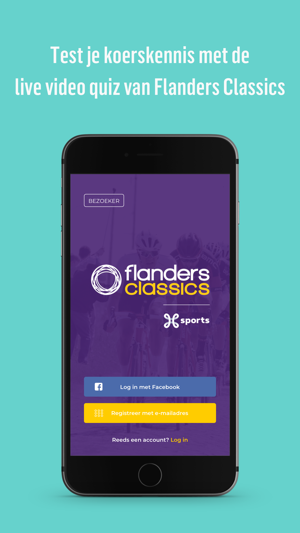 In the app of Flanders Classics, organizer of 6 Flemish spring races, a live quiz is played at different times. This quiz consists of 10 multiple choice questions about cycling, in which you as a player have 10 seconds each to give the correct answer. If you give the correct answer within that time, you will proceed to the next question. If you kick it up to the 10th question and answer it correctly, you will win a great cycling prize! The unique thing about the live online video quiz is that as a participant you are in contact with the presenter and with each other via a chat function. Because of the live aspect, the presenter can immediately respond to the results of the players and their reactions in the chat. 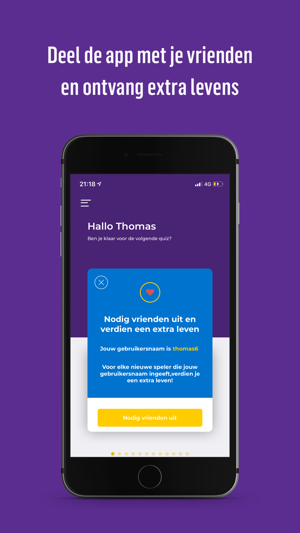 By sharing your username with your friends, you earn an extra life that can help you get as far as possible in the quizzes about Omloop Het Nieuwsblad, Gent-Wevelgem, Cross through Flanders, Tour of Flanders, Scheldeprijs and De Brabantse Pijl! More information about the game concept can be found in the app. The game requires a stable internet connection. 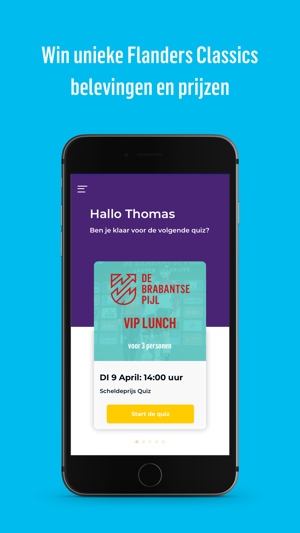 Reeds bij registratie gaat de app de mist in! 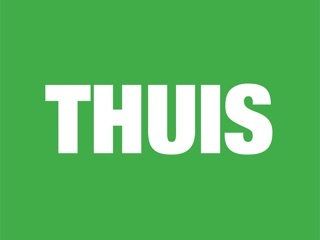 Geen smscode ontvangen, maar onmogelijk hetzelfde nummer opnieuw te gebruiken! Grote fail! Hi Pol. 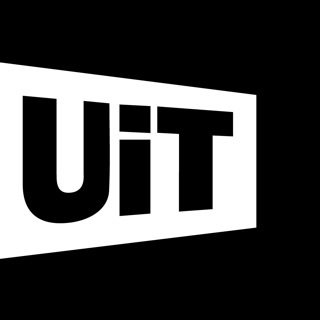 Door technische problemen zijn er een aantal activatiecodes niet aangekomen. 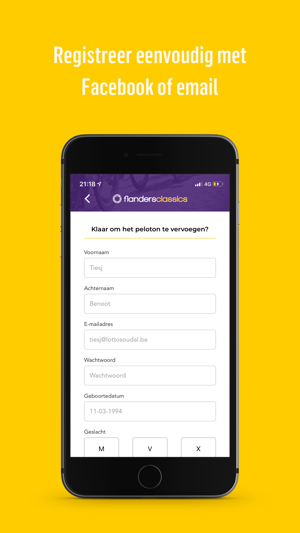 We hebben je een nieuwe activatie code gestuurd zodat je de volgende quiz kan meespelen. Sorry voor het ongemak! Alles goed gisteren maar van prijs niets gehoord ? Hoe kan ik updaten ?